The first traffic-free link between the rural communities of North Connel and Benderloch, Argyll and Bute will officially open today. 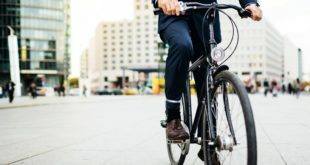 Funded by Transport Scotland and delivered by Sustrans, the new link will see the first protected pathway for walking, cycling and wheeling between the two villages. 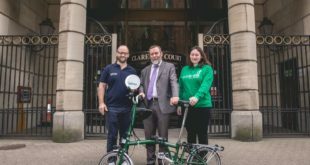 It also signifies the ‘first milestone’ in a programme of UK-wide improvements to the National Cycle Network (NCN). Forming part of a £2 million investment by Transport Scotland in NCN Route 78 throughout Argyll and Bute and the Highlands, local community councils and a petition group from the area have been involved in the project, ensuring the new link best serves the needs of the local communities. Previously connected only by a trunk road with no pavements on either side, the new link between the villages opens following over a decade of community and landowner engagement. 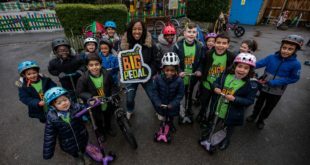 The 1.5km off-road section of NCN Route 78, the Caledonia Way, will also provide young people from North Connel attending Lochnell Primary School in Benderloch with a safe route to school. 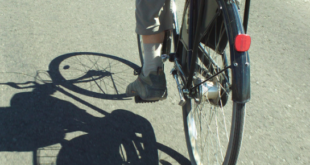 Within 2018’s Paths for Everyone report, Sustrans identified 50 key ‘activation projects’ which is said are ‘crucial’ to improving conditions across the NCN in the UK. 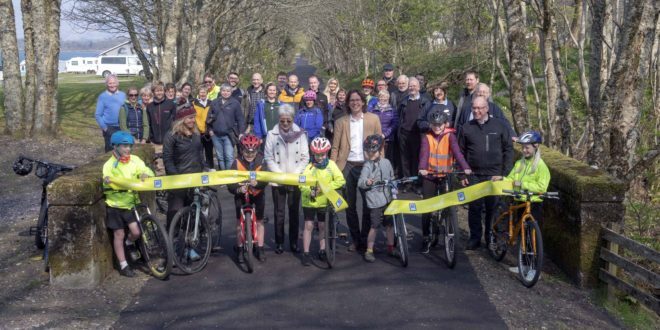 The link at Ledaig is the first of the projects to reach completion, and is the first step towards Sustrans’ goal of doubling the amount of traffic-free sections of the network to 10,000 miles by 2040, creating a UK-wide network of paths connecting cities, towns and countryside. The Caledonia Way, NCN Route 78, is used for an estimated 2,500,000 cycling journeys and 3,900,000 pedestrian journeys per year.